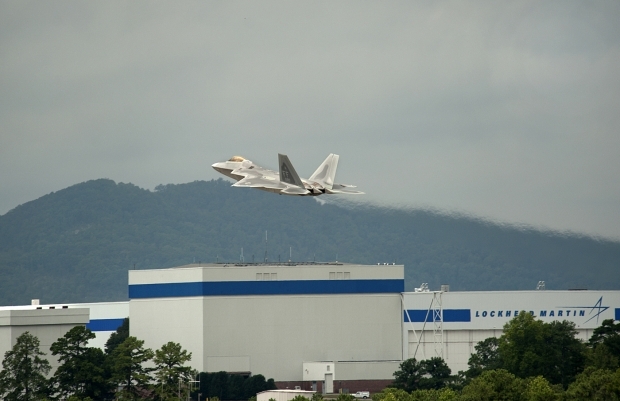 MARIETTA, Ga., September 26th, 2011 -- Lockheed Martin’s [NYSE: LMT] F-22 Raptor returned to the skies today here in a series of test and production flights, the first since a four-month fleet stand down was lifted on Sept. 19, 2011 by the U.S. Air Force. Aircraft flown are preparing for delivery to the U.S. Air Force. Specific delivery schedules and flight activities are being aligned in conjunction with customer specifications and testing parameters. F-22 final assembly line schedule was not impacted by the stand down and the team continues to roll out Raptors on time, with final aircraft completing in December 2011. As the world’s only operational 5th generation fighter, the F-22 Raptors are counted on to project power, deter threats and promote stability around the world. F-22 units also frequently deploy to Kadena Air Base, Japan, and Andersen AFB, Guam, as part of rotational support assignments designed to enhance security in the Pacific theater. Headquartered in Bethesda, Md., Lockheed Martin is a global security company that employs about 126,000 people worldwide and is principally engaged in the research, design, development, manufacture, integration and sustainment of advanced technology systems, products and services. The Corporation’s 2010 sales from continuing operations were $45.8 billion.